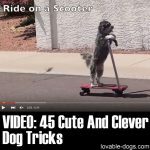 This video features a collection of smart dogs who will definitely leave you astonished with their antics and tricks. 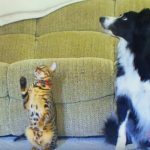 My favorite clip is the first one, when a rescue dog was playing the piano. Such a cutie! 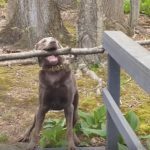 Dogs are really capable of doing remarkable things and this video will attest to that. Dog intelligence, like human intelligence, comes in various styles. And although any breed can be nurtured by owners who are willing to put in their time and effort, there are fixed realities when it comes to your animal’s inherent qualities. A dog’s breed is the most important factor that can affect its intelligence. If it’s bred to hunt, herd, or retrieve, the dog is more likely to be quick on its feet, eager to work, to move, and to please you. It will learn faster. If it’s bred to be a livestock guard dog or a scent hound, it may get easily distracted and perhaps just a bit dense. The key is to know what your pooch is built for and learn how to motivate it. But keep in mind that the smartest dogs don’t always make the most suitable pets – depending on various other factors. 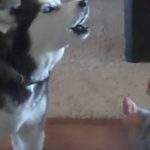 You can have the smartest dog in the world but if it might for example need more engagement than you have time. If it doesn’t match you, the partnership wouldn’t work. Your job is to find a breed that suits your lifestyle and to focus on bringing out the best in your dog. 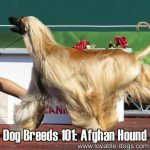 Dog Breeds 101: Afghan Hound!